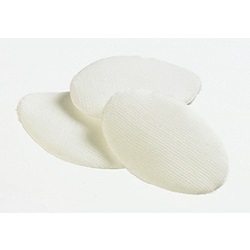 Eye Pads - Derma Sciences Oval, 1.125" x 2.625"
Large in size, pads measures 1.125" x 2.625". White cover of fine mesh seamless gauze, with thick cotton fiber filler. Manufactured by Derma Sciences. Comes in a box of 50. 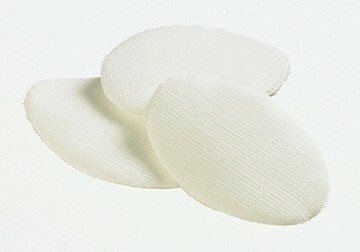 Eye pads are designed for maximum protection and comfort. They easily conform to the eye cavity. They have a seamless cover that reduces the possibility of trauma to the eye.